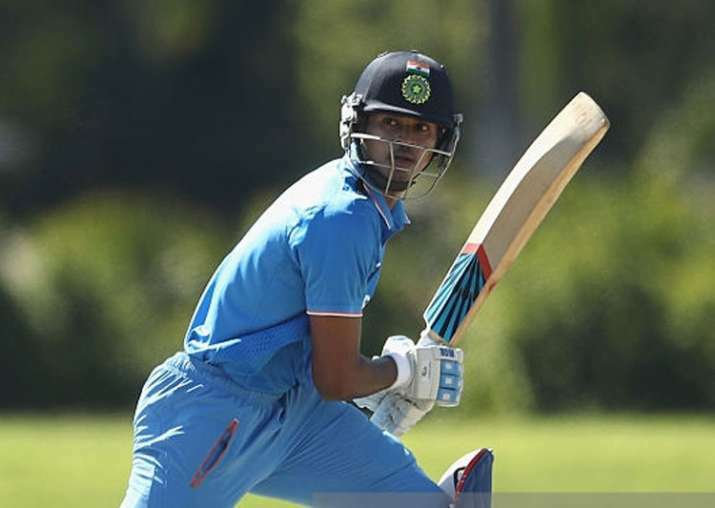 Iyer led India A to a tri-series title in South Africa earlier this year, hitting a big hundred against South Africa A in the final of the tournament, which also had Afghanistan A.
Uncapped Shreyas Iyer is comfortable batting at any position and said scoring a century against South Africa A in a tournament final earlier this year has been satisfying. Iyer, who is part of the 16-member Indian squad for the T20I series against New Zealand starting on Wednesday, was rewarded for his consistent performances in the domestic circuit and the IPL over the last two years. "It was very helpful for me. I was going through a good patch, got good starts, but I was not able to convert them into big knocks till the final," Iyer told reporters on the eve of the first T20 International against New Zealand. "It (the final) was a big game, it (the knock) was really satisfying that it came through and obviously, once you get the team through, you get a lot of attention from the teammates as well." Iyer said he is flexible batting at any position. "I think I am very flexible. I don't mind batting at any number. Even in Indian Premier League (IPL) this year, I was shuffled from number four to number three. It did not really matter to as I am comfortable," Iyer said. He added: "Whatever number I bat if I get to play the game, I will see to it that I give my best." As usual, the Indian team had an optional practice session, but skipper Virat Kohli, Mahendra Singh Dhoni, Hardik Pandya, Rohit Sharma, Axar Patel, Jasprit Bumrah and Bhuvneshwar Kumar skipped it. Iyer said he was hoping to be a part of the team in at least one of the three T20 games. "I am hoping to be a part of the playing XI. There are three matches and it will be great for me even if I am able to play one game." The Mumbai batsman scored 809 runs at 50.56 in his debut Ranji Trophy season (2014/15) to finish as his team's highest run-scorer. The first T20 International in New Delhi is set to be veteran seamer Ashish Nehra's last game in competitive cricket.